Your wedding day is one of the most special days in your life. Let us help you to create lasting memories of your day. Capture Our Day was born out of a love of photographing people and capturing their emotions and expressions in a photograph. These photographs become cherished memories as time goes by. As we age we can forget some of the most prescious moments in our lives. Photographs help us to remember those cherished moments and remind us of the times that we have spent with our loved ones over the years. This is why I take these photographs, for my clients to cherish for years to come. The very first camera I bought was so that I could learn to take beautiful photographs of my own family. I look forward to doing the same for you. My style of shooting is all about caputring the day as naturally as possible. Sometimes, during the day I might need to give you some direction, but for the majority of our time together I’ll be like a fly on the wall. I’ll be there in the shadows capturing the fleeting moments between you and your guests as they enjoy a wonderful occasion together. Depending on the level of package that you choose will depend on how much of your day I photograph, but I assure you that I will document the day and tell your story in the photos I take. Simply put, the day is all about celebrating and having fun, and that’s how I intend to capture it. ” I love to see the smiles on my clients faces when they see their photos for the first time”. 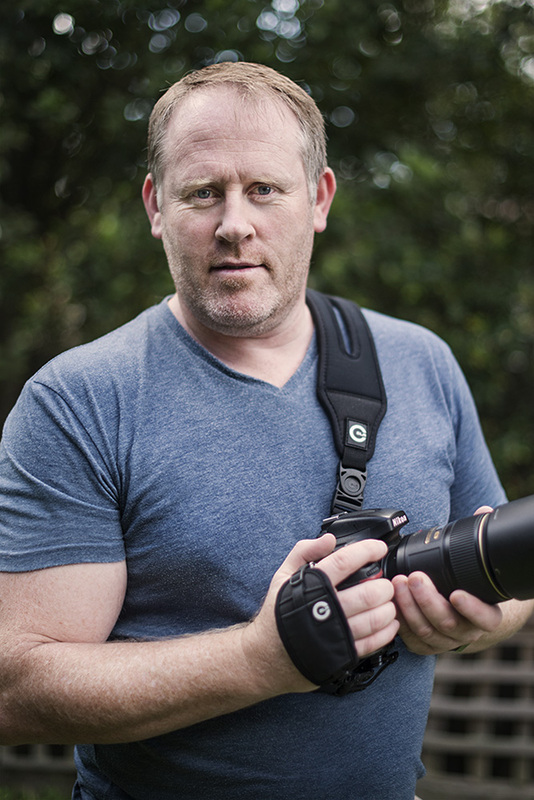 Danny Irvine is a professional wedding and portrait photographer in the Central Coast. Danny is ready to take care of all of your pre wedding photography needs. How do I book you to shoot my wedding ? You can very easily make a booking by hovering over the ‘Make A Booking’ tab in the main menu at the top of each page. Then you can choose which type of booking that you would like to make. You will then be redirected to the relevant booking form. You can also contact me directly on 0410407253 if you have any additional questions before making a booking. When Should I book my wedding ? Technically you can make a booking at any time. Although it’s best to give as much notice as possible in order to guarantee that your chosen day is available and that you can secure it. How many photographers shoot my wedding ? In all of the packages that I offer, I will be the one to shoot your wedding on the day, but if required, you can book a second photographer to shoot the wedding with me. I will always be the principal photographer unless for some completely unforeseen situation (very unwell) I will send a very trusted fellow wedding photographer to shoot your wedding. You will be in good hands. How Much will a wedding cost ? The cost of your wedding or photography shoot will vary depending on what package you choose and how much coverage you are looking for. You can go to the Packages Page Here to view some more information regarding this. Can I change my package ? You can of course change your package at anytime but only if my schedule allows for it. If a situation arises that may cause you to want to change your package details, it’s best to contact me asap in order to work everything out. How many images will I receive ? How long is a piece of string? or so the saying goes. How many photos you receive depends on many things. How many hours have you booked me to be shooting for, how many people are in the bridal party, how many guests, will I be shooting just the ceremony. As a rule of thumb you can expect anywhere from 100 – 300 photos . There may be some exceptions to the rule but those exceptions will be something that we talk about way before the day of your shoot. How long? does it take to get my photos ? Every wedding/photoshoot is different but I would allow 2-4 weeks before recieving your final photos on USB. Albums and framed prints can take upto 6 – 8 weeks. Can I order Reprints at a later date ? Of course you can. I keep your final images on file for a very long time and I will be more than happy to organise some additional prints at a later date. We are looking forward to meeting with you and discussing you special day. We aim to deliver to you beautiful images to remind you of your wedding day. You can contact us HERE for more information or if you just have a few questions.